Here’s another unposed, candid, photojournalistic-style shot from one of my wedding assignments. 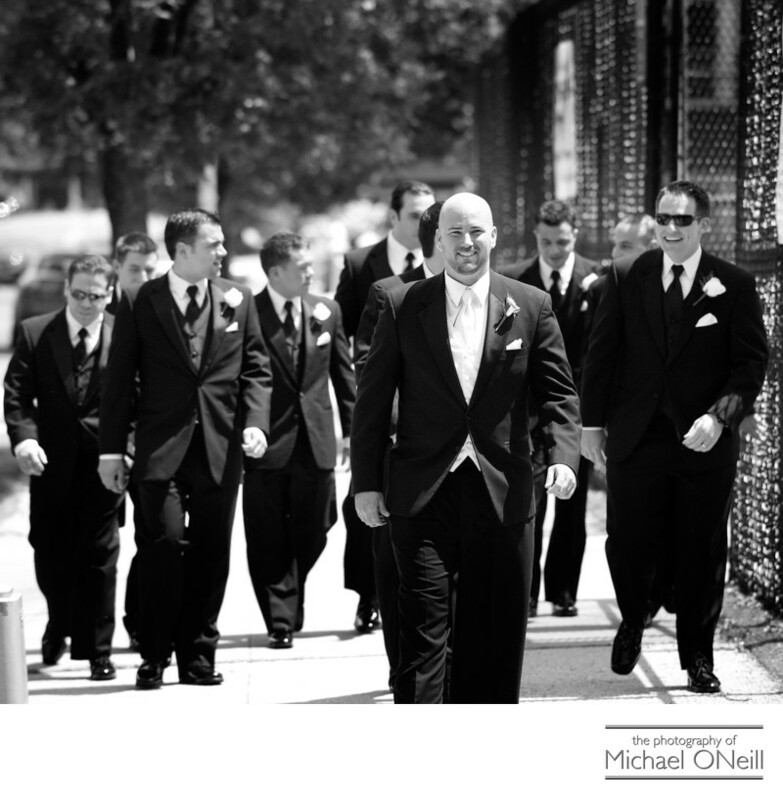 Taken on the streets of New York (in Queens County to be precise) it is simply a shot of the groom with his groomsmen and ushers arriving at church for the wedding ceremony. In just a few minutes he would be seeing his bride walking up the aisle in church and he would be awe struck by how beautiful she looked in her wedding dress. But for the time being he was simply enjoying the company of his dearest friends as they accompanied him to church for the most important day of his life. I love capturing special moments like this...the groom proudly leading the way in front of the guys as they laughed and joked with each other. More often than not it is pictures like these that capture the true personalities of the people in your wedding party. As a seasoned professional wedding photographer I have learned to anticipate these special moments and capture them for a lifetime of fond memories.